Let me close the “Toastmasters blogging week” by informing you about a great Toastmasters event in Madrid next May 7th. We will celebrate the Division Conference in Madrid (this is happening in Madrid only once about every 4 years). It will be open to all kind of participants. You don’t need to be already a member to take part in it. There will be some very interesting presentations but most important of all, there will be 3 speaking contests: public speaking contest in Spanish and English and evaluation contest. There it will be decided who are the champions for Spain & Portugal, who will compete in the next level. It will be a big show, where you’ll be able to meet many people, learn a lot and put an end to the day with a wonderful gala dinner. There is a wonderful team working to make it a great event. Even though I am now based in Toulouse, I’ll go to Madrid that day to take part in that event as the contest chairman, in case you hesitate whether to join the event not knowing anyone (you’ll at least know me!). 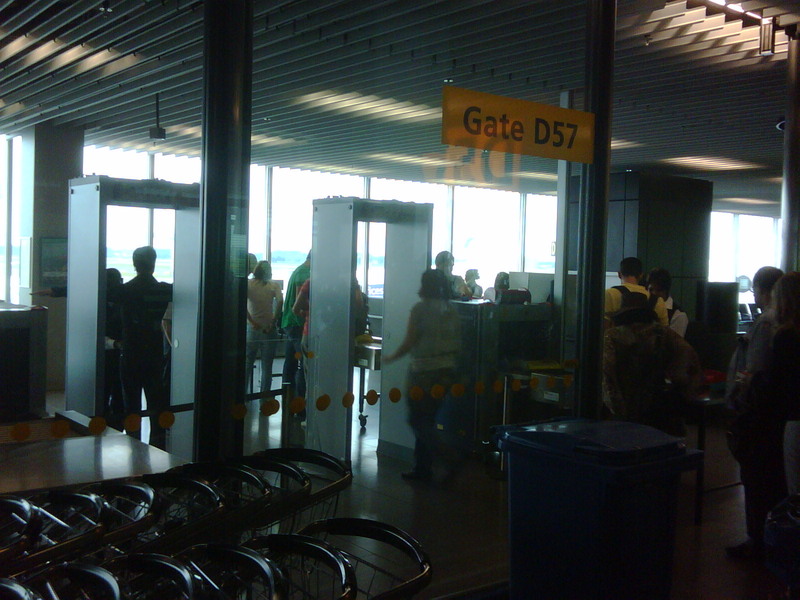 Check the website of the event, “Madrid Conference 2011: Dare to fly, dare to shine!” and register to it (there is an early bird discount if you register before end of March). Llevaba tiempo queriendo cerrar una cuenta de Ibercaja por varios motivos: cobran por las tarjetas, cobran por las transferencias realizadas por internet, hace años me colaron un seguro de vida al pedir un crédito para irme de Erasmus, tiene pocas oficinas, etc. Hasta ahora no había cerrado esa cuenta porque seguía pagando un préstamo, y no quería cancelar el préstamo porque al principal que me quedaba por pagar le podía sacar una rentabilidad mayor invirtiéndolo que el interés que me cobraba la caja. Pero en junio terminé de pagarlo. Hace unos días transferí casi todo el dinero restante a ING. Pregunté si seguía necesitando la cuenta de Ibercaja asociada, y me confirmaron que no, que al tener la cuenta Nómina de ING con sus tarjetas (gratuitas) asociadas no era necesario. La comercial de ING me ofreció que ellos me realizaban la gestión de cerrar la cuenta de Ibercaja: “No, gracias, prefiero ir en persona”. Para eso había dejado 22,53€. Esta mañana, antes de ir al trabajo, he pasado por la oficina más cercana (c/ Francisco Silvela, Madrid). – Hola, venía a ver cuánto dinero hay en la cuenta. – ¿22 euros ó 22,53? El hombre de la caja recoge el dinero, hasta el último céntimo y me lo da. – Tiene que firmar aquí. – Ahora quería cancelar esta tarjeta que me han enviado, que no he pedido ni activado y me dicen que me quieren cobrar 17€ ahora en octubre. – Y, por último, quería cerrar la cuenta. – … No puede ser, tiene que ir a su oficina (Las Rozas, a 22km de Madrid). – ¿Cómo que tengo que ir a un pueblo donde no vivo ahora para cerrar una cuenta? Deme una hoja de reclamación que voy a poner una queja. – Espere… voy a llamar a la oficina de Las Rozas a ver si me autorizan. Esperamos a que llegue el fax… A quienes vivimos en Madrid, esto de tener que ir de Madrid a Las Rozas puede no parecer tan extraño, pero ¿si hubiese abierto la cuenta en Sevilla? Me parece estúpido pretender que cada persona haya de ir a cerrar una cuenta donde la abrió… En Ibercaja parecen serlo. – Usted tenía un seguro de vida… ¿relacionado con un préstamo? – Sí, me obligaron a abrirlo. No lo quiero. – Además, tiene una libreta. – No lo sé, si en algún momento la tuve no sé donde está. – Necesito que traiga la libreta, si no, no podemos cerrar la cuenta. – No me ha entendido: no tengo esa libreta ni se la voy a traer. Firmé un último papel y salí del banco sonriente. Aunque muy pocos, hay días en que el ir a un banco o caja puede hacer que tu día empiece de la forma más feliz. Two weeks ago I was having some drinks with a good friend of mine. Talking about books we were reading we ended up talking about investments. He had the idea of buying a small studio in order to rent it, because the margin you could get in a small studio compared to its price was larger than if you did the same with a larger apartment. I wanted to test the argument with idealista.com, the leading real state website in Spain. Apart from the many ways in which you can screen and sort out houses, the site has a very handy piece of information which is the average price per square meter of your selection either for rental or sale. Rental: ~17 €/m2 per month. Rental: ~13 €/m2 per month. As you can already see, the price per square meter is very slightly higher in the case of flats (~0.2%) while the price of rental is much higher in small studios (~31%). What is the profitability of the case? We can make the calculation with these per square prices. If you buy the small studio and put it for rent, you would earn from it 12 times 17€ per year (204€), this is 4.8% return on the asset, which in this case is a square meter valued at 4,287€. For the larger flat the earnings would be 3.6%. Thus, as my friend said renting small studios is a whole 31% more profitable than renting larger flats. Paid by itself? My friend also mentioned that you could even get a mortgage that it was cheaper than the monthly rent and thus really not needing to dedicate ~100k€ to the purchase of the prize, but paying the flat simply with the monthly rent incomes. That case also holds true with current low interest rates. I checked the case for a small studio of 25m2 and you could charge about 425 euros while the mortgage would be around 322 (25 years). This case would not be true anymore if you want to pay the studio in a shorter time, or interest rates rise. This case also excludes the extra costs that house ownership has (repairs, improvements in the building, idle time between renters…). So we should see the figure 4.8% as a ceiling. Last weekend, on top of attending family visits and a wedding, I could spare some time in two different fairs: the “VI Feria de la Tapa de Madrid” and the “LXIX Feria del Libro de Madrid”. Both experiences, as it was expected, were a success. 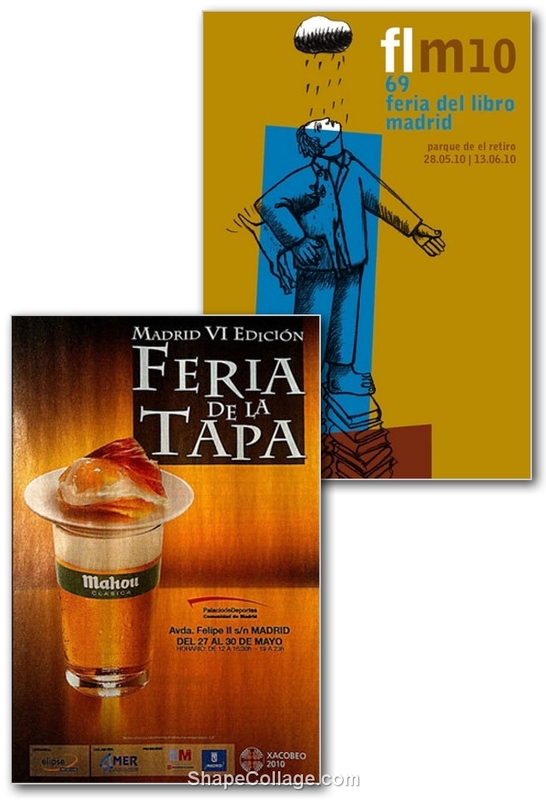 Posters of "VI Feria de la Tapa" and "LXIX Feria del Libro" of Madrid. 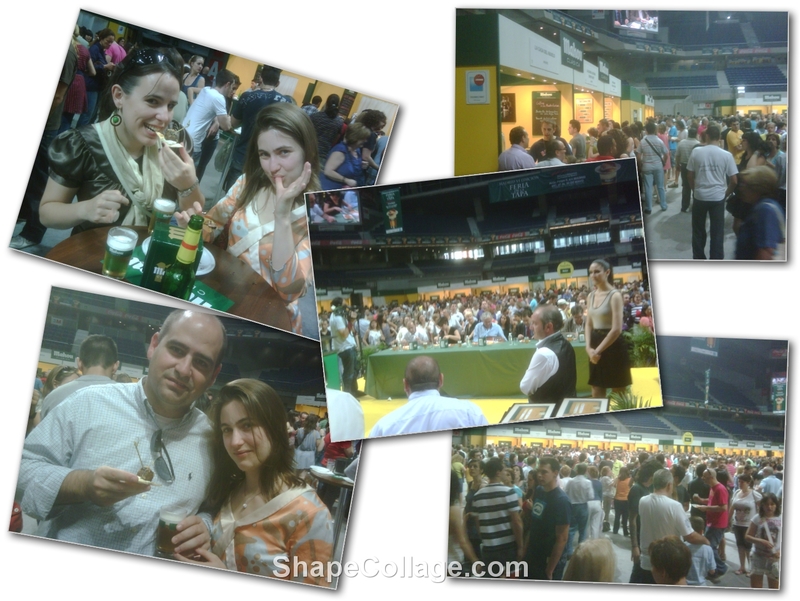 In the gastronomic fair I had lunch on Saturday and supper on Sunday, the day it closed. There were 38 restaurants and taverns from the Madrid region represented in the fair, and each one of them brought 4 or 5 different tapas. By chance, while we were there on Sunday evening it was taking place the contest to elect the best tapa… My first thought was “it’s not a bad contest to be judge”, later I thought it better… one thing is to take 6 or 7 tapas at your will and rhythm, and a very different one is to take 38 tapas in a row! Anyway, the judges didn’t look bad at all. VI Feria de la Tapa. On Sunday I went to the book fair (I will come more times this year, until June 13th) and I had another please surprise. During the first smooth walk along the stands I stopped by the one of Ecobook bookshop and I asked about a book just to see if they had it by chance, and, they did have it! The book is “Confusión de confusiones” (of which I had already referred to in another post). This book was written by the Spanish Jose de la Vega and is the first book about the stock market. Once I finish it I’ll write more about it, now I leave here the link of a blog about it. While in Brazil last Easter, I read in my guide that in the city of Sao Paulo lived the largest Japanese ethnic group outside Japan. My first thought was: that’s not surprising; by heart I made the following reasoning “if Sao Paulo is among the six or seven biggest cities in the World and we exclude Tokyo and Chinese cities… there is a chance of 15-20% of it being Sao Paulo”. Later on I was told that in Sao Paulo also lived the biggest communities of several other nationalities… yes, the same rationale could apply (I guess it would come a point where not every nationality could have their largest community abroad in Sao Paulo… but I found no way to prove that). The first two examples are related to Japan. See the Japanese traditional gates (or Torii), both in Japan (this case in the island Miyajima) and in the Japanese neighbourhood in Sao Paulo. Note the striking similarities of procedures used to push people into the subway coaches both in Sao Paulo and Tokyo (in this case I was later told by my sister that in a TV programme about Spanish living abroad it was commented that the metro of Sao Paulo was inspired by the one in Tokyo). 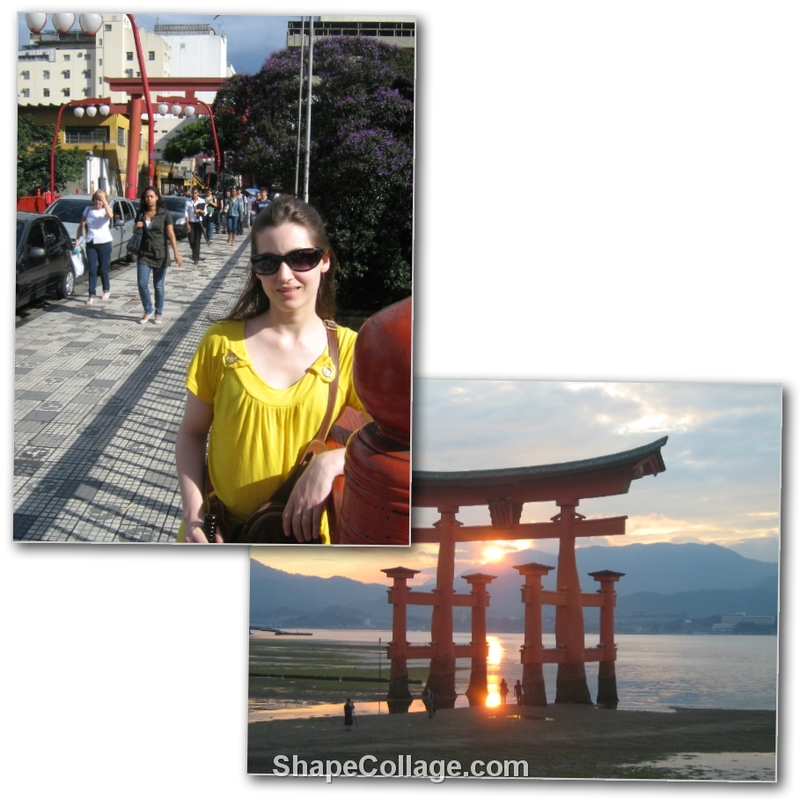 Japanese gates, Torii, in Sao Paulo and Miyajima. 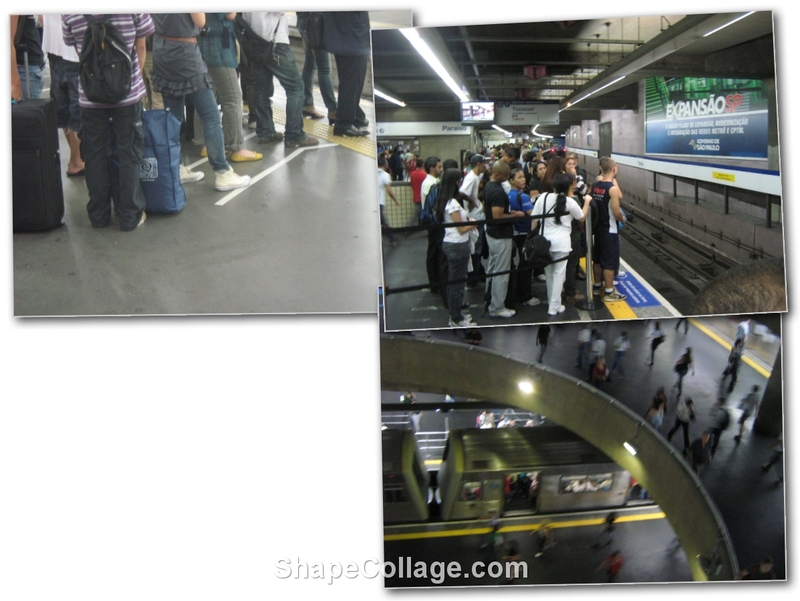 People queueing in Sao Paulo and Tokyo subways. 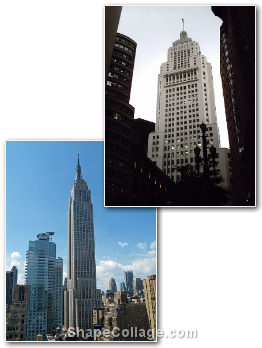 The next striking example is one that I already posted about: the Banespa tower in Sao Paulo compared to the Empire State Building in New York (you almost wouldn’t notice the difference if it wasn’t for the height of ESB). Banespa Building (photo by Felipe Mostarda) and Empire State Building (photo by David Shankbone). 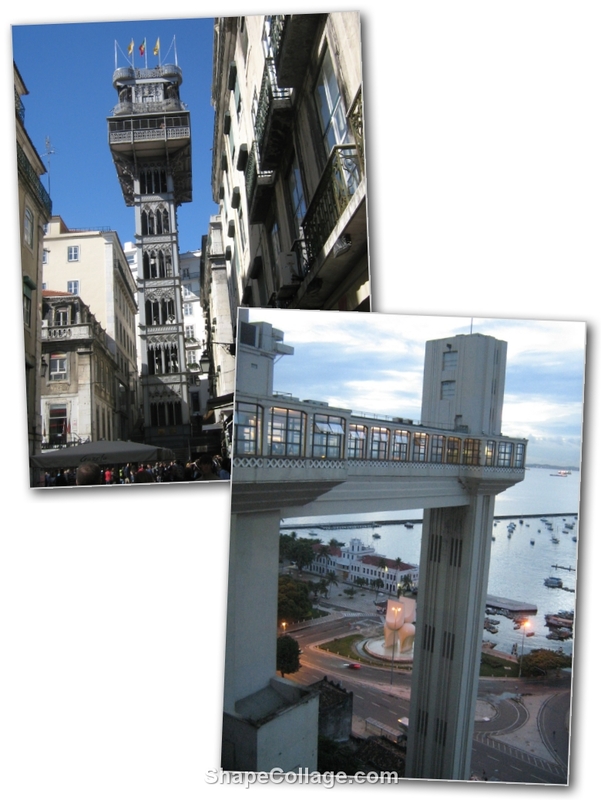 Elevators of Santa Justa (Lisbon) and Lacerda (Salvador). 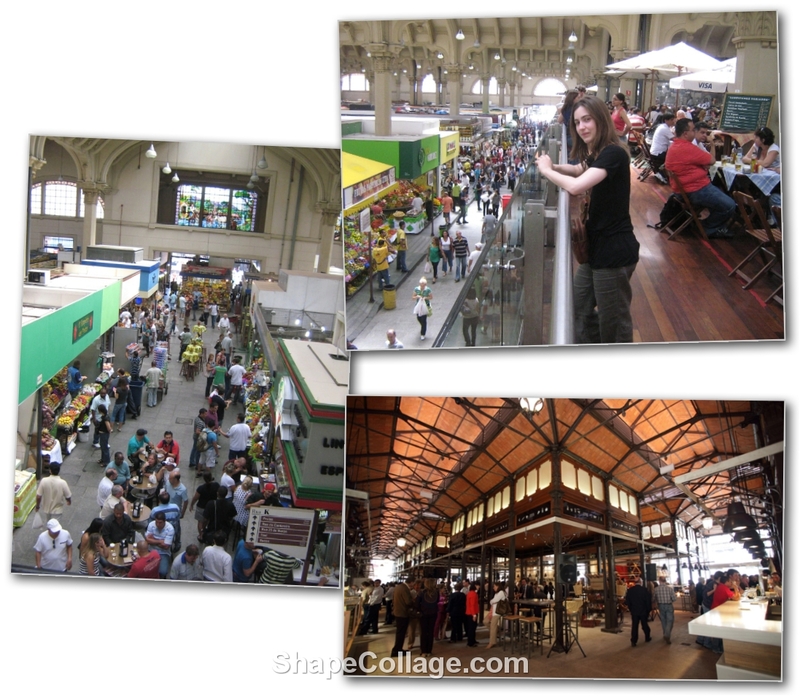 Similar experiences can be found as well inside two different markets: the Sao Paulo Municipal Market and Mercado de San Miguel in Madrid, the first one offering a wider variety of products (including good Spanish jamón in the “Emporio Arabe”?!?) and the latter a more upscale atmosphere. (If at the market in Sao Paulo, do not miss the codfish pastel and mortadella sandwich at Hocca bar!!). Municipal markets in Sao Paulo and Madrid. Lastly you all know the Cristo Redentor in Corcovado Mountain, Rio de Janeiro… there is a similar Christ in Lisbon, just at the opposite riverside from Praça do Comerço (though I admit that in this case it is in Lisbon where you think “oh, I’ve seen this somewhere else”). 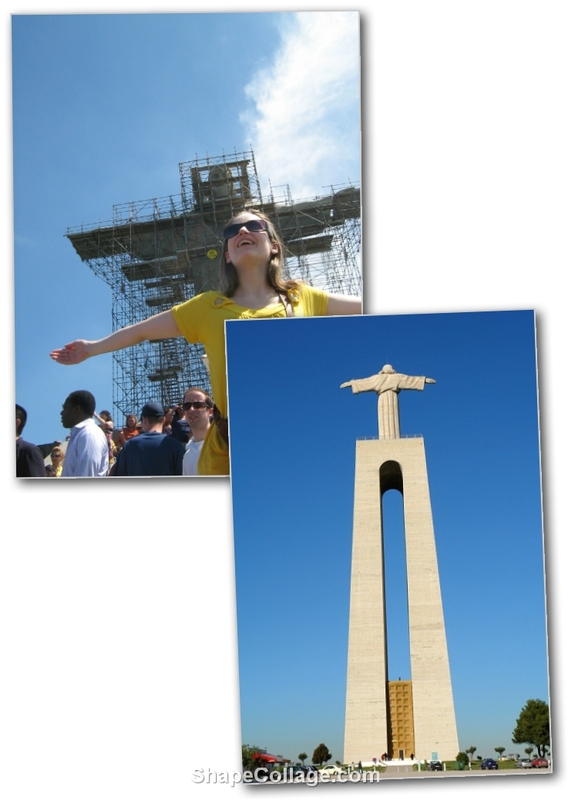 Christs in Rio de Janeiro (being overhauled) and Lisbon.